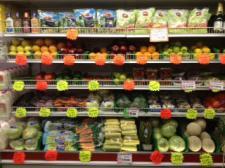 We pride ourselves on bringing you the freshest, most delicious produce at affordable prices. Every season brings new produce to our aisles. Local Homegrown produce whenever it is available.